I speak with parents frequently about Minecraft. Some parents love it: it provides a creative outlet and keeps their kid out of trouble. 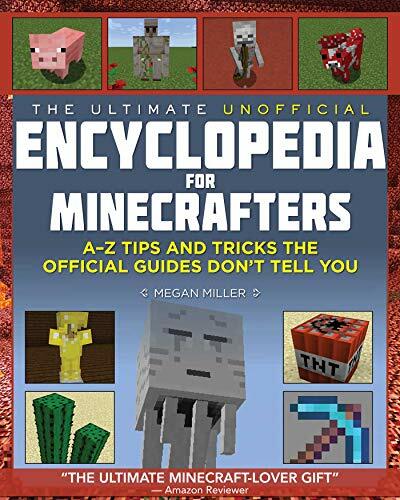 Other parents hate it: it is an addictive waste of time, violent, and they always want to buy the Minecraft books at the book fair. As a former classroom teacher, my initial thoughts on Minecraft fell primarily in the second camp. Kids would literally go to the book fair, buy these books, and ALWAYS want to "read" them during reading time. Quick note for parents: most kids aren't reading these books, they're just looking at the pictures! I still haven't changed my opinion on Minecraft books during reading time (though I do approve of Minecraft books for after school joy). I think some kids loved the books even more than the game. There was sometimes even a social pressure to like Minecraft. Over time my opinion of Minecraft has changed dramatically. Parenting advice (regarding screen time) aside, the game does provide kids with a great creative outlet and an opportunity to build interesting structures to their heart's content. It's an equivalent to LEGOs without having to buy and store all of those bricks! In that sense it's significantly better bang for your buck and kids can and should learn some important computer skills, like using a mouse and typing, as well as coding and basic server functions. Also, consider the memorization skills that kids are building during their Minecraft play. Most kids these days may not be memorizing the Gettysburg address, but they can absolutely tell you how to create a diamond sword on their crafting table. I'm not a child development expert, but to me the process of memorization and recall is an important skill that Minecraft teaches very effectively. Minecraft comes with five modes, but the two primary modes for kids to focus on at first are survival and creative. In Survival mode, you have to build up a place to stay the night until you have the weapons necessary to fend off the mobs (enemies), and you can die and respawn. So a focus of the game is building a mob-resistant shelter and building up your cache of weapons and tools to gain experience. In Creative mode, you can build whatever you want and not have to worry about mobs or dying. You also have access to all the blocks and items, and you can fly. Some parents complain to me about the violent nature of Minecraft's survival mode. Admittedly, it can be a bit scary at first if you don't know the mobs are coming, but it's nothing compared to most games, and it can take some practice and research to survive the first night. That's why I recommend that kids give it a try. Creative mode is great and has its own elements of challenge, but you're really going to learn the fundamentals of the game if you have to go through the process of survival and defeating the mobs. Then your child will be ready for the next steps. Minecraft is not the type of game that kids should always play alone. Watching students in our summer camps engaging with one another in the game and building some truly amazing creations is really awesome. It's easy to connect two friends together. Get your child to have a friend come over and just plug in your IP address into the server, and (barring any firewall issues) they'll be connected and ready to play together. Eventually, if your child plays a lot, they will reach a level of expertise beyond your proficiency in most things. At that point, I'd recommend that they look into coding and modding. There is a huge mod community and I'm going to be posting some recommendations in a later post on how kids can get into modding. There are some software solutions for it or you can create custom, original mods. 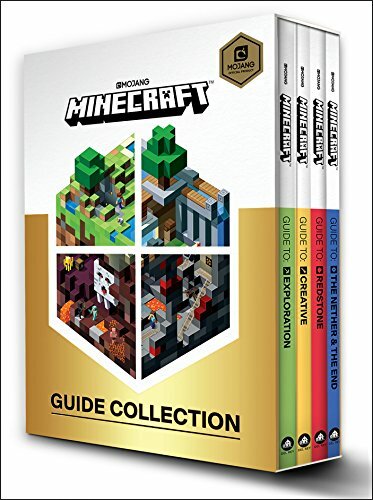 I know I gave the books a hard time in my intro, but for a child who actually spends time playing Minecraft, the books are a necessary component to learning new things and developing their skills. Just do me a favor and have them read some fiction and nonfiction books along with their Minecraft obsession! !